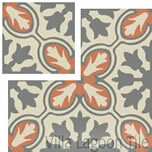 Cement Tile Makes a Big Splash on TV! 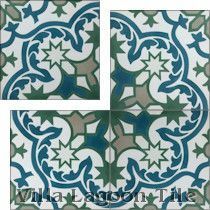 Villa Lagoon Tile’s in-stock “La Española” tile was recently featured in an episode of DIY Network’s “Kitchen Crashers”. Episode 204, “Time to Tear out that Carpet” originally aired July 12, and showcased our beautiful cement tile both as a backsplash, and a rich and beautiful accent wall. 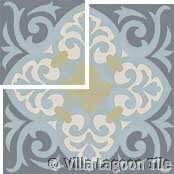 Design reveal featuring Villa Lagoon Tile’s “La Española” as a focal point. 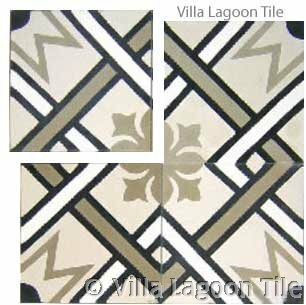 Villa Lagoon Tile’s founder and designer, Lundy P. Wilder was proud to help Rebekah Zaveloff (of Design in a Bag and KitchenLabs fame) bring her beautiful vision together with our La Española cement tile. Host and designer Alison Victoria did a great job bringing the crew together to provide this Chicago area couple with a kitchen most only dream of. Stop daydreaming and make your dream kitchen come true! Make sure to check for future show times of “Time to Tear out that Carpet”, if you missed it!